Carolien is the founder of C-Change, a growing business with the mission to trigger all businesses to make a difference and equip them with the tools they need to bring their purpose to life. Through C-Change, Carolien and her team provide advisory and facilitation support to organisations aiming to make a difference. Current engagements include delivery of an annual Impact Capital Summit (March 22-23, The Hague) for European ‘mainstream’ investors and corporates, as well as support to the Skoll Foundation and the Social Progress Imperative in preparation for the Skoll World Forum of 2016. In addition, Carolien is partnering with the Social Progress Imperative, a Michael Porter organization, and Dutch open source data developer akvo.org - to bring a 3rd party technology 'C-Change platform' that enables the private sector to manage their impact activities better. With a background in strategy consulting at Monitor Deloitte and having held an interim COO role at the Bertha Centre for Social Innovation & Entrepreneurship in Cape Town, Carolien brings strategic and operational experience in for-profit and 'for-impact'​ organisations alike. At Deloitte, she built out the firm's global impact investing advisory work and co-led its public sector social innovation offering. Her clients included pioneers such as B Lab, Calvert Foundation, the GIIN, Ford Foundation, the White House Social Innovation Fund’s Pathways initiative, and the World Economic Forum. 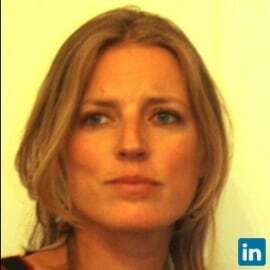 Carolien facilitated multiple convenings including Rockefeller Foundation’s 2013 Global South Impact Investing Conferences. She played a leading role in publications s.a. the G7’s Social Investment Taskforce’s Impact Measurement report, Rockefeller Foundation's report on Impact Accelerators, and contributed to ground-breaking reports such as Acumen Fund’s report 'From Blueprint to Scale'​. She is part of Cornerstone Capital's Global Advisory Council, and holds an MBA from Columbia University in New York.